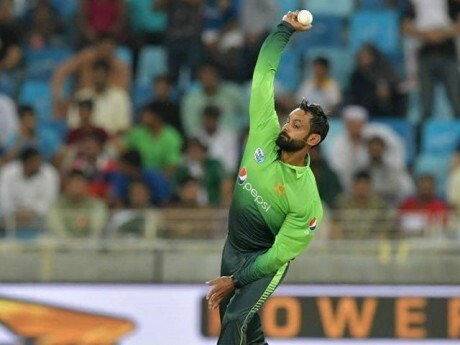 Lahore,Â International CricketÂ Council has declared theÂ bowlingÂ action of Pakistan spinner,Â Muhammad HafeezÂ clear and now he is allowed to bowl in the international matches.Â ICCÂ has issued the notification that the bio-mechanic test of Muhammad Hafeez was conducted on 17 April in theÂ Liphbro University,Â EnglandÂ and curve of the arm during all of the bowled balls were found within the legal limit of 45 degree. Reporting again within 2 years, he will have to face the ban for 12 months. The videos of the correct action will be provided to the officials of the match for the strict supervision. Hafeez playing is really just a disadvantage for Pakistan at this point anyway. Deliberate chucker who can obviously pass the tests but can't bowl those pies in internationals. Let's just hope he stays unbanned till after the World Cup. Hafiz wase bhee retirement ke age ko ponch gya ha. Is pa passy laganee ka ab koi paida nye ha. (06-07-2018, 11:30 AM) RStar515 Wrote: Hafiz wase bhee retirement ke age ko ponch gya ha. Is pa passy laganee ka ab koi paida nye ha.